Ten years in the travel industry! Happy birthday to us! 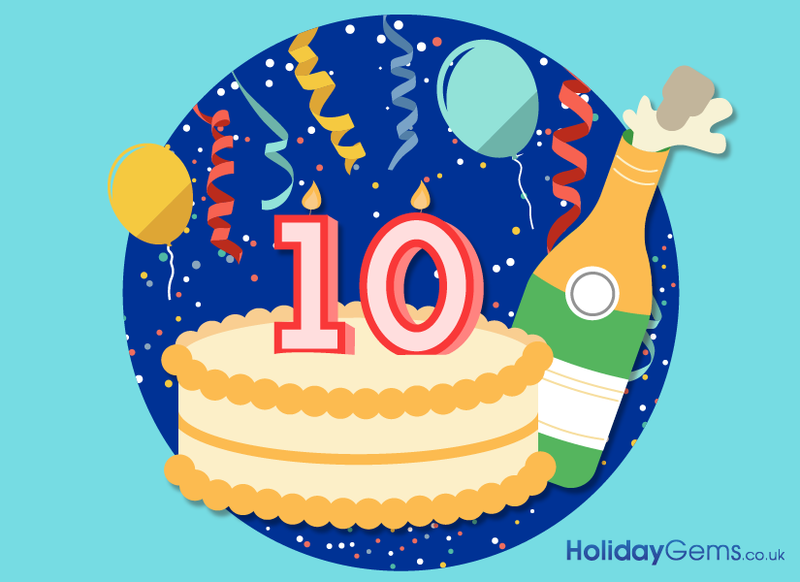 This year we celebrate 10 years in the travel industry, and what a ten years it’s been! We love choosing the perfect short haul holidays for you, and it’s our mission to make sure that our customers all get the best deal possible. All of this ten year talk has had us thinking… what else turns ten this year? 3 fabulous attractions in Florida also celebrate their tenth birthday in 2016. First up there’s the the Delancey Street Preview Centre, located in the New York section of Universal Studios, Orlando. This attraction opened in the Spring of 2006 and allows visitors to preview a brand new Universal program or film. The High in the Sky Seuss Trolley Train Ride in the Islands of Adventure also turns ten this year. This ride opened in 2006 in the Seuss Landing area of the theme park, and still continues to be one of the most popular rides in the park. Over at Seaworld, The Shamu Express opened in 2006. This steel roller coaster was designed in line with the world-famous Shamu, the killer whale featured at the theme park. Ten years of fun in the sun! We’ve had lots of developments and changes over the past ten years, and we’ve recently started focussing on providing accessible holidays for disabled travellers. We believe that everyone should be able to enjoy a break in the sun, that’s why we’ve highlighted the hotels that have the right equipment installed to make everyone’s holiday as comfortable and enjoyable as possible. We’ve proudly supplied over a million holidays, and we can’t wait to offer more holidays and travel deals. Whether you’re a family, couple, group or solo traveller looking for that perfect holiday, we just can’t wait to help you jet off for fun in the sun.